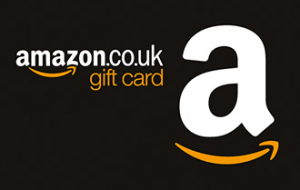 Amazon.co.uk Gift Cards* can be redeemed towards millions of items at www.amazon.co.uk and www.javari.co.uk. Amazon.co.uk’s huge selection includes products in Books, Electronics, Music, MP3 Downloads, Film & TV, Clothing, Video Games, Software, Sports & Outdoors, Toys, Baby, Computers & Office, Home & Garden, Jewellery, Beauty, DIY & Home Improvement, Office Products, Camera & Photo, Pet Supplies, and more. Amazon.co.uk is the place to find and discover almost anything you want to buy online at a great price. Gift certificate funds will be applied automatically to eligible orders during the checkout process. Your gift card claim code may also be entered when prompted during the checkout process but you will not be able to redeem your gift card using the Amazon.co.uk 1-Click® service or downloadable e-books unless you first redeem the gift card through Your Account. If you have questions about redeeming your gift card, please visit www.amazon.co.uk/gc-redeem. * Amazon.co.uk Gift Cards ("GCs") sold by Digital Gap Ltd, an authorised and independent reseller of Amazon.co.uk Gift Cards. GCs may be redeemed on the Amazon.co.uk website towards the purchase of eligible products listed in our online catalogue and sold by Amazon.co.uk or any other seller selling through Amazon.co.uk. GCs cannot be redeemed for purchases of gift cards or gift cards. Purchases are deducted from the GC balance. To redeem or view a GC balance, visit "Your Account" on Amazon.co.uk. Except as required by law, GCs cannot be reloaded, resold, transferred for value, redeemed for cash or applied to any other account. Amazon is not responsible if a GC is lost, stolen, destroyed or used without permission. For any other questions, see www.amazon.co.uk/gc. * Amazon.co.uk is not a sponsor of this promotion. Amazon.co.uk Gift Cards ("GCs") may be redeemed on the Amazon.co.uk website towards the purchase of eligible products available on www.amazon.co.uk. GCs cannot be reloaded, resold, transferred for value, redeemed for cash or applied to any other account. Amazon.co.uk is not responsible if a GC is lost, stolen, destroyed or used without permission. . See www.amazon.co.uk/gc-legal for complete terms and conditions. GCs are issued by Amazon EU S.à r.l. All Amazon ®, ™ & © are IP of Amazon.com, Inc. or its affiliates.